Who are the major buyers today? What is the outlook for 2019 and beyond? 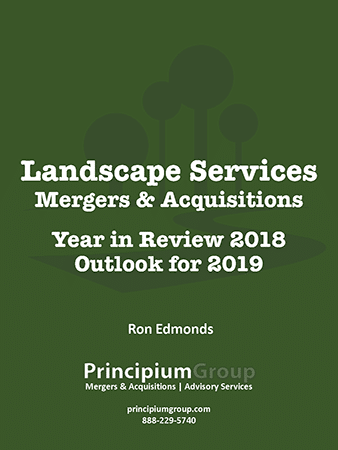 We have just published Landscape Services Mergers & Acquisitions: Year in Review 2018 and Outlook for 2019, a 20 page report recapping M&A activity in the lawn and landscape industry for 2018 and discussing the factors expected to impact lawn and landscape M&A in 2019. This report is intended for lawn and landscape industry business owners and potential buyers and investors. To receive your copy, complete the form below, you will immediately be redirected to the report and also receive a link by by email.